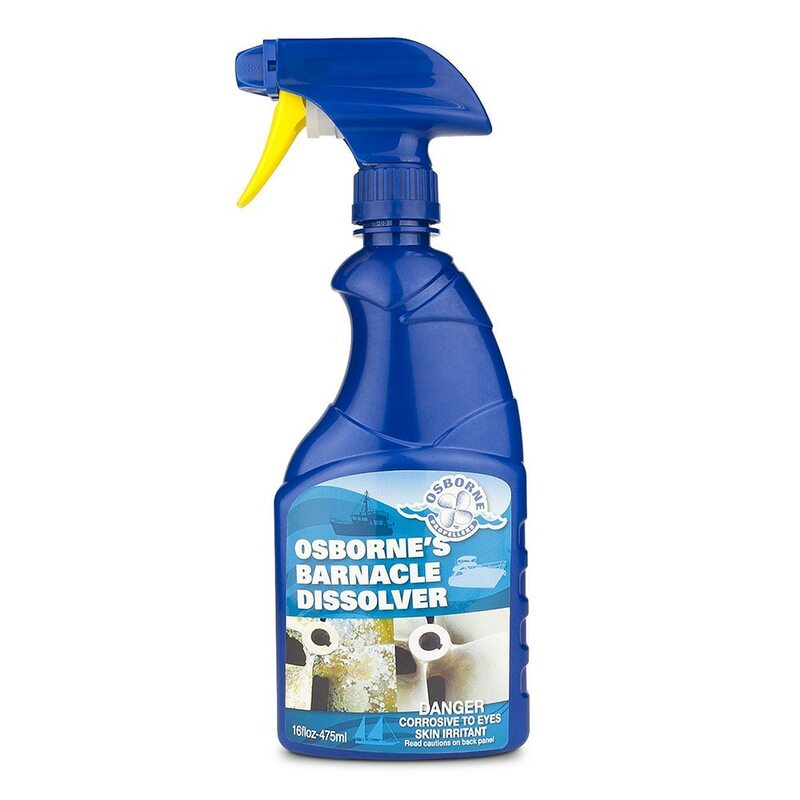 The Osborne's Barnacle Dissolver was created to enable boat owners to get cost effective, professional results when cleaning propellers and running gear. Boaters can now safely and effectively remove barnacles and other stubborn marine growth from their propellers, trim tabs, shafts and rudders without the use of power tools or harsh, volatile chemicals. Osborne's Dissolver’s unique organic salt compound is non-corrosive to the skin and releases no noxious fumes. Using power tools to remove barnacles and other growth will result in a loss of metal and impact the structural integrity and balance of the propeller. 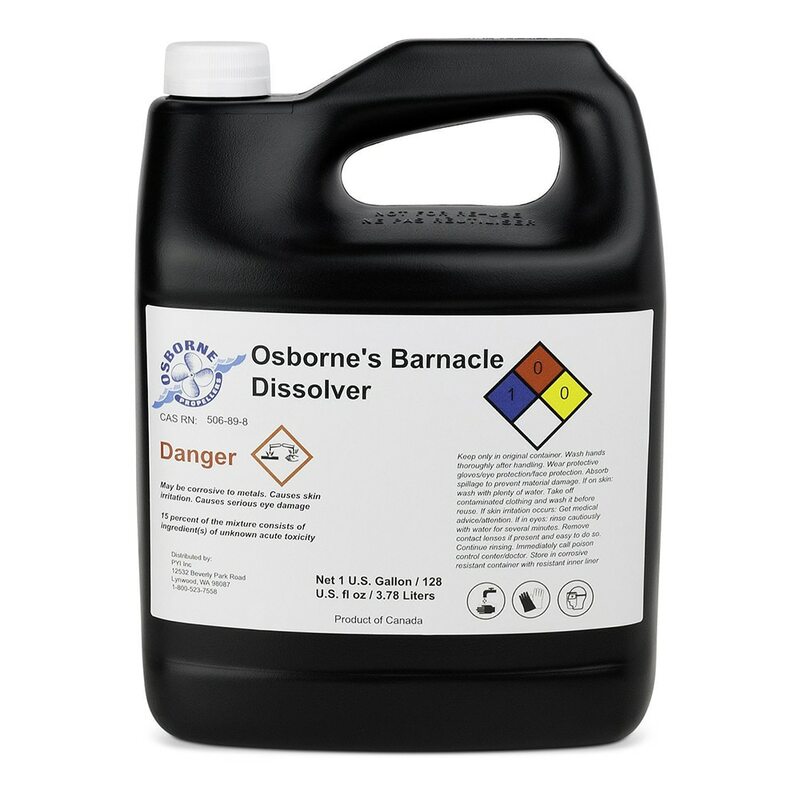 Osborne's Barnacle Dissolver will help increase the longevity of your propeller and other running gear.